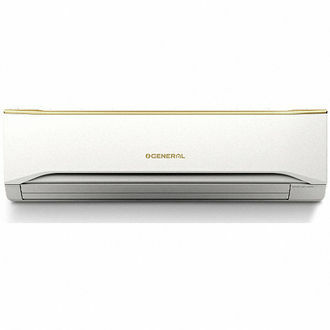 O General, a trusted brand in air conditioner manufacturing, makes it easy to find an AC that efficiently cools a room without taking up too much space. O General 1.5-Ton Split AC is available for a low price, with a cooling capacity of 5400 Watts (approximately 120 to 180 square feet) and an energy consumption of only 1830 Watts. Star ratings for O General AC units range from 2 stars to 5 stars, and include features such as sleep mode, turbo mode, LED display, auto restart, inverter technology, and a remote control for easy management and adjustment of their units. Find the complete price list of 5 O General 1.5 Ton Split ACs updated on 26th April 2019. Now finding an affordable unit that can easily fit within a home is made simpler if you buy online. 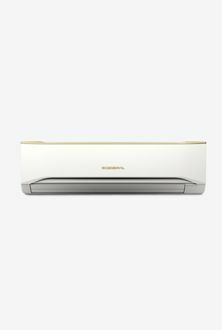 Price comparison tools, as well as delivery estimates, are available here on our site, and air conditioners like O General 1.5 Ton Split AC can be found from trusted retailers such as Amazon, Shopclues, Flipkart, and Croma. Read the reviews and specifications, find the deals and discounts associated with the AC before you make the purchase.